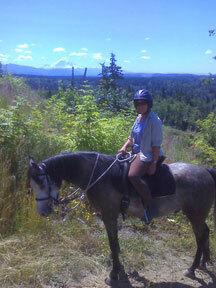 Our primary focus is to support the horse industry and equestrian way of life in King County by taking part in pertinent land use issues and by promoting the protection and creation of equestrian trails and facilities. Communication with newspapers, radio, television stations to promote goals and activities of KCEHC. Distribute brochures and pamphlets to businesses and organizations. Give presentations to horse clubs, city, county government, developers, etc. Organize presentations/workshops on equine care, trail preservation, etc. Setup and display at fairs, trail conferences, etc. Promote and develop membership in KCEHC. Maintain membership directory, volunteer lists and telephone tree. Create and distribute newsletter, including soliciting articles, layout, printing and distribution. Maintain and update inventory of trails and trail contacts. Keep track of City, County and State legislation that will affect trails and the equestrian lifestyle. Represent equestrians at hearings and meetings. Receives notices of pending development from County, and determine whether or not these developments will impact trails. KCEHC meetings are held on the second Monday of every month at the Redmond Library.